Below is a list of countries that have not been matched with Bolivia. If you know a couple from any of these these country combinations, please tell them about our project. 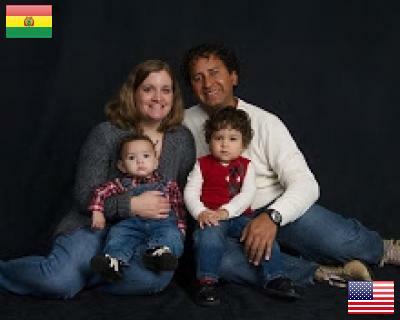 Gerson and I met and married in Bolivia, South America. God joined us to work together to further HIS Kingdom. We love the Lord and are passionate about sharing His love with others. God has blessed us with 2 handsome sons who keep us very busy! We enjoy playing board games, having people over to our home, and loving people!